Soramane season just started in Kanto area. In Chinese character it is written like 空豆 or in Hiragana written like そらまめ. 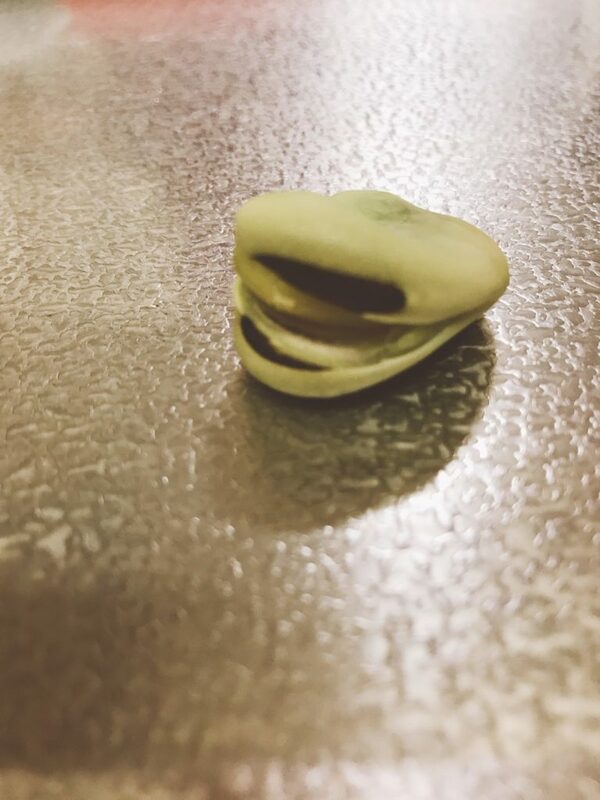 In English name is Broad beans. 空 means sky and 豆 means Beans. The name comes from how to grow. The beans are growing forward sky, that’s why it is called Soramame. Take peas out from pods. Make a tiny cut on the black part on the beans, so that it’s easier to take out the beans from the skin. Boil beans in hot water with salt for 2 minuets. Boiling beans more than 2 minutes is too much. As Edamame is getting an English word, Edamame is quite famous overseas. 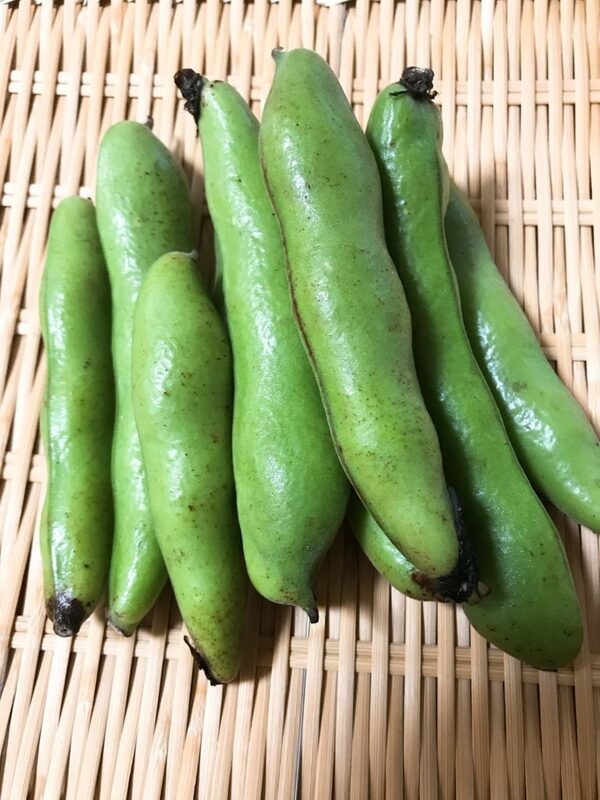 Same as Edamame, Soramame is also tasty, so try to enjoy during seasonal period of May. Come to see fresh seasonable veggies at Aoyama Farmers Market. It’s held every weekend.